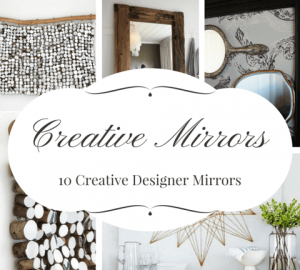 We have pulled together 10 of our favourite creative designer mirrors. 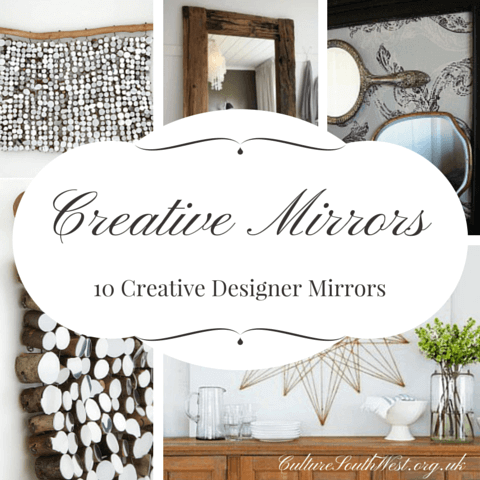 In this collection we have tried to focus on the unusual, the bespoke, as well as mirrors using natural materials, and DIY guides to making your creative mirror. An incredibly inspired wood based mirror from Lee Borthwick. Lee specialises in creative mirror installations and wood sculptures. Another wood-based mirror from Pinterest. We love bespoke furniture – nature can provide a unique edge that manufactured products will never achieve. 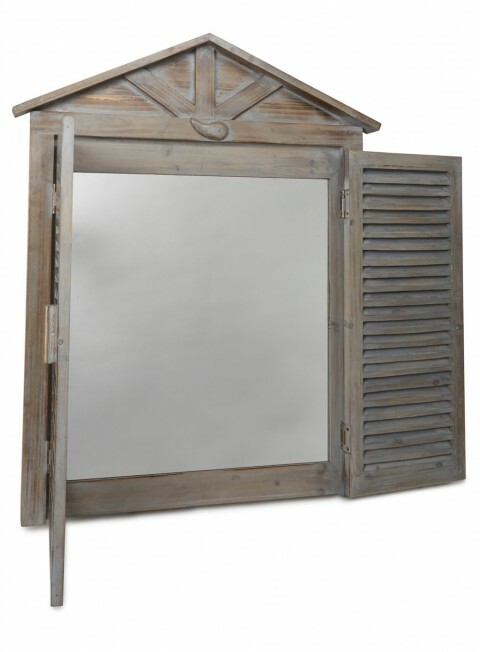 A grey vintage style shutter mirror available at BHS. 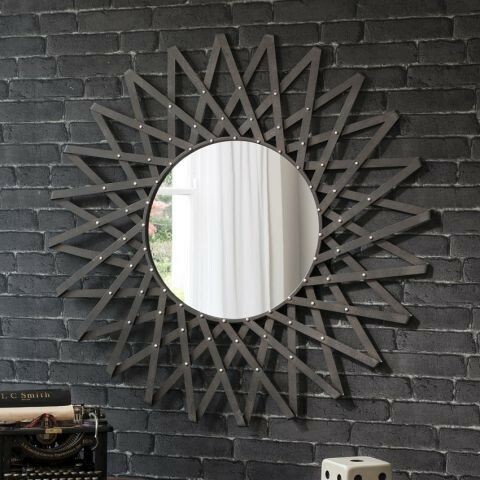 The Starburst mirror is available from bedroomfurnitureworld.co.uk, Wayfair.co.uk and Worldstores.co.uk. We loved this idea. This isn’t actually a mirror that you buy, it is a way of using rope to decorate an existing mirror. Details here. 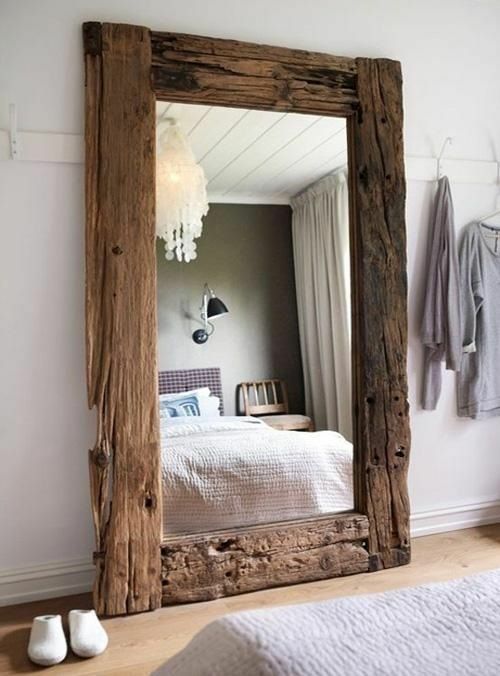 This fantastic mirror has been made by upcycling reclaimed wood. 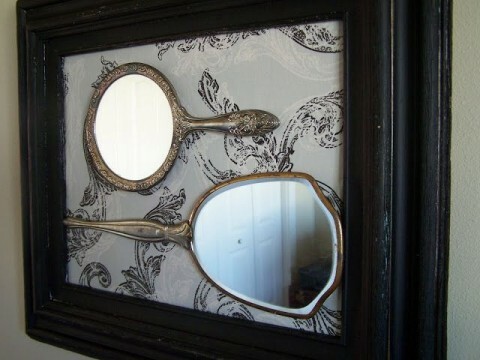 A deceptively creative idea – using hand mirrors in a frame – with a print background to make them pop. Source. Elegant custom bathroom mirrors suspended by fitted piping that goes from just below the ceiling, to under the sink unit. 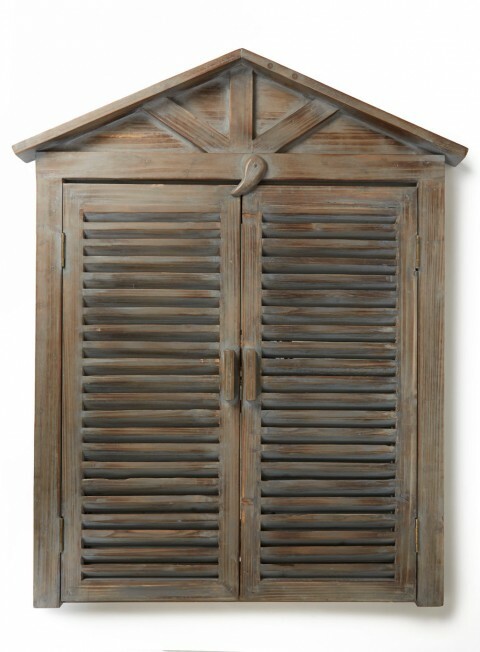 Designed by Maddux Creative, this piece was featured in The World of Interiors Maio 2014. Source. 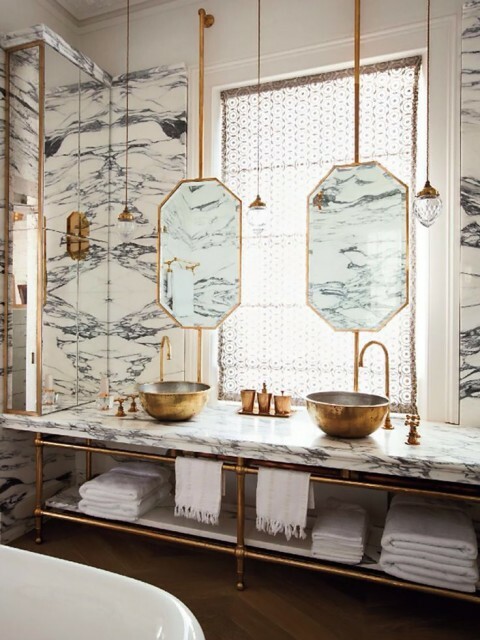 You may struggle to actually use this as a mirror, but we just had to include it! The work is made from lots of small mirror tiles suspended by fishing line. Originally on Etsy, unfortunately this one of a kind is no longer available to buy, but there is nothing stopping you making one yourself. DIY! 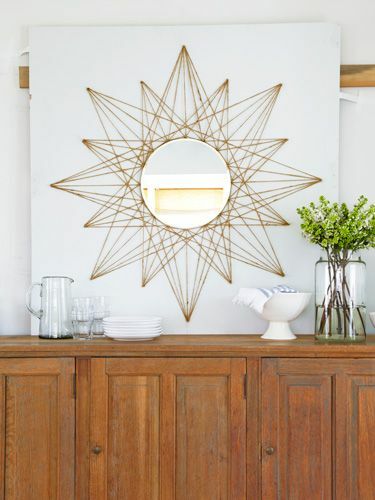 Make your own starburst mirror with this tutorial. Source. 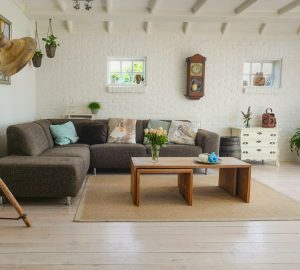 Have you enjoyed this post, this post was originally posted on Culture SouthWest, one of the leading interior design blogs in the UK, please view their blog today for inspiration and the love of interior design.